Some of the money has come through strong-arm collection tactics, and some through enticements. Whatever the case, Greece’s leftwing government will be able to cover pension and civil servants’ salaries due at the end of the month, according to the deputy finance minister for expenditure, who has been frantically scraping together the funds in recent days. 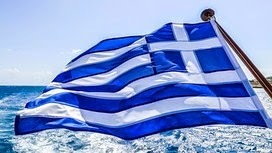 “Whatever needs to be paid will be paid on time — that means wages, pensions and the subsidy to IKA (Greece’s biggest health and social security fund),” Dimitris Mardas told the Financial Times. However, Mr Mardas could not give any assurances about a separate €450m payment to the International Monetary Fund due on April 9, which is overseen by a separate department within the ministry.